Another wait till the end, before you figure it out! As I love Patricia Cornwell best fictional, crime, and Medical author! 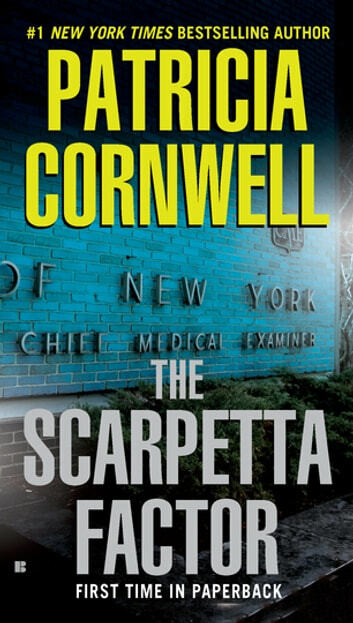 Another complicated but interesting technical nail biter of Scarpetta by Cornwell. Well done, bravissimo! I love all the Scarpetta novels. This one is a fast paced book with unexpected turns that make it very hard to put the book down! I've read several of her books and enjoyed many of her early ones. The last one I read and this one I did not enjoy, in fact, I didn't even finish reading it! I found it too full of uninteresting detail leaving me wondering what it being discussed and/or to whom some of the characters are related. I have decided not to order any more Patricia Cornwell novels.